Like other Plex apps, this one connects to your Plex server to stream content. Don't have a Plex server? All you have to do is install the server client on a computer or toss some videos on a device like a Shield TV. 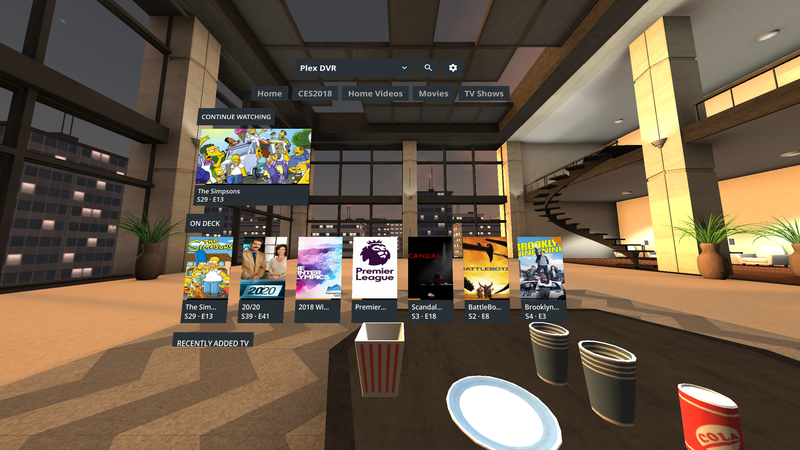 Then, you can browse your content in VR and pull it up in a floating window. Like most similar apps, it looks like you're in a swanky penthouse apartment while you're watching a video. Keep in mind, this app is not the same as the regular Plex client for Android. You need to get the Gear VR version of the app from the Oculus Store, which is right here. You also need to be connecting to a Plex server running v1.8.1 or higher. You'll need a Gear VR and compatible Samsung phone, too, of course.